Mrs. Kennedy teaches bisecting angles during her fifth period Math 2 class. 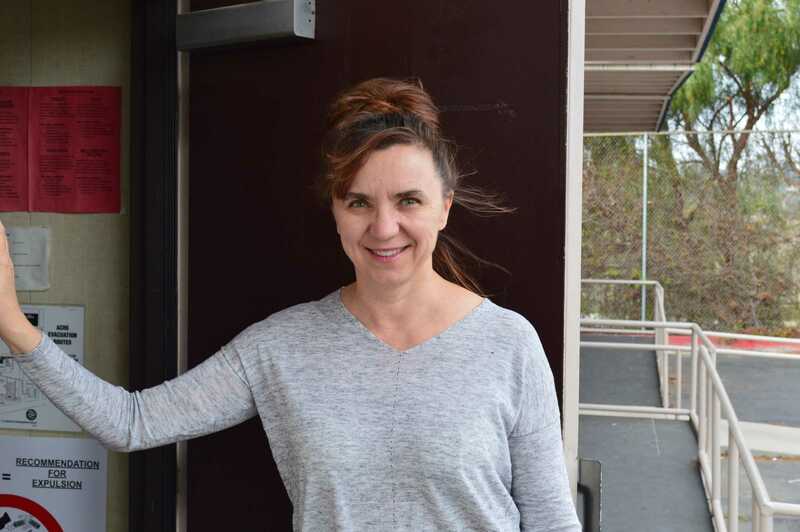 Few teachers at Cam High sport a personal history as interesting as math teacher Mrs. Irina Kennedy. However, Kennedy only taught in Milwaukee for a year. In 1999, Kennedy and her family moved from Wisconsin to California. Shortly after arriving in California, Kennedy went back to school and received her master’s degree from California State University, Northridge. “I wanted to teach higher level [math] classes, and it takes a while to have enough skill to teach higher level classes, but I definitely knew that’s what I wanted to be doing,” said Kennedy. Before coming to Cam High in 2000, Kennedy taught at Frontier High School for a little less than a year. After her employment at Frontier ended, Kennedy came to Cam High and began teaching all levels of math classes, with her most rigorous course at the time being Calculus AB. “When the opportunity presented itself, I got appointed to teach Calculus AB, and I felt that I did really well,” said Kennedy. Kennedy was quite eager to continue teaching higher-level math classes. Around six years ago, she took over for former math department chair Mr. John Collins, and began teaching his Calculus BC class. “Our department chair, [Mr. Collins], was getting sick and he was missing a lot of days, so he decided to give up his BC [class], because he was afraid he was going to lose too many days, and those AP students would not have a teacher, so he gave up his BC class, and I took it.” said Kennedy. She has been teaching Calculus BC ever since.